Stay proactive with incident response solutions instead of feeling overwhelmed by the increasing amount of threats. Configure alarms to trigger for specific threat incidents, so you can transition into response mode. Designed to combat network threats without a need for an extensive security background. You may not be able to respond to threats at scale if you subscribe to the prehistoric method of manual research, validation, and remediation. New threats are developed and deployed every day, and existing threats we thought we had a handle on are evolving to cause greater damage. You could invest an entire day in the manual response method, and you’d still be behind due to the sheer volume of potential threats in the queue that still need to be investigated. Respond to threats at scale using Threat Monitor – IT Ops Edition security incident management software with Active Response. Active Response provides preconfigured and customizable actions for incident response based on which trigger conditions are satisfied, enabling you to proactively hunt and stop threats. 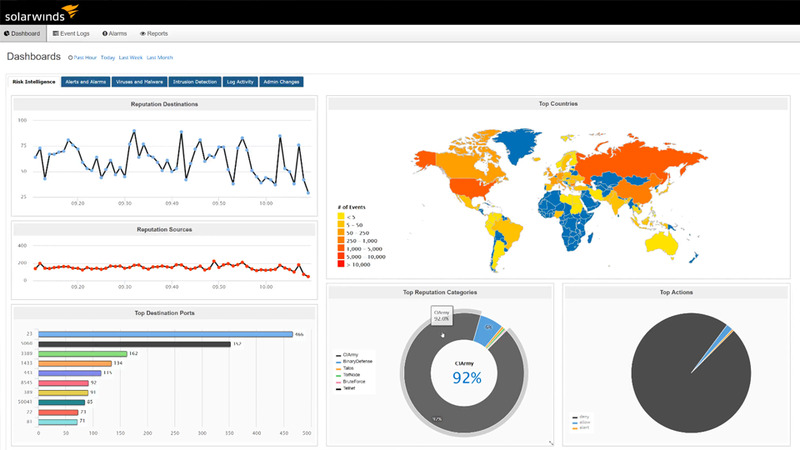 Threat Monitor – IT Ops Edition incident response solutions are designed to ingest threat intelligence findings and act on unique user-defined actions. Simply kick off an automated email to your team, actively block a threat detected at your firewall, disable an Active Directory account whose actions may place your enterprise at risk, and more. Manual response can be a task that requires a certain level of technical breadth to understand the risks and consequences of the selected remediation path. By the time IT professionals have thoroughly researched a potential threat, it may have already escalated into something more serious. Remove the manual research involved in incident response, and let the security incident management software in Threat Monitor – IT Ops Edition with Active Response do the heavy lifting. Every day, businesses are subject to an increase in constant, simultaneous threat incidents—and manual management isn’t viable. Speed is a critical part of incident response, and a lengthy, manual-response process is counterproductive. IT professionals without a security background may not know how to take action on threat intelligence when they receive it. What is incident response in cybersecurity? Any manual or automated action taken to respond to a set trigger, such as a specific alert configured to notify a user of a potential cybersecurity incident.